Most everyone is aware of how important and prevalent technology is in today’s world. However, without the careful instruction of Computer Science teachers, the industry can’t continue to grow. 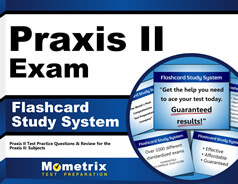 To ensure all incoming Computer Science teachers are able to perform their jobs well, the Educational Testing Service offers a mandatory Praxis II Computer Science test. If you don’t score well on this exam, you can’t start your career. The idea of such an important exam may intimidate you. While this is perfectly understandable, the Mometrix Test Preparation team wants to assure you you have nothing to fear! We’ve composed a comprehensive Praxis II Computer Science (5651) practice test to help you create a thorough study experience. Through careful research, we’ve modeled this resource so that it perfectly reflects what you’ll find on the full exam. As such, all 100 of the Praxis II Computer Science questions on the exam pertains to one of three relevant subjects. 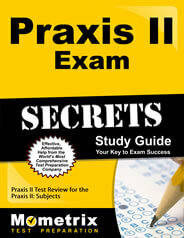 Our Praxis II Computer Science practice test is free for you to use as you see fit. For the most comprehensive study experience, we recommend pairing this resource with our companion study guide.